Well done to the Jazz Band, Ukuleles and Choir for their performances at the end of last week. Ukuleles and choir getting ready to go onstage at the Cultural Festival. 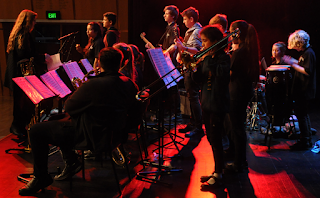 Tomorrow our orchestra, choir, ukuleles, hip-hop dance and Cosmic Latte will play for visiting school groups at Chisnallwood. Congratulations to Molly Behan, student of Lynne Mackenzie who passed her Grade 2 Digital Piano exam recently with high distinction. Our final theory for term 3 will be next week Friday 18th Sept.
Itinerant students will be performing on our itinerant nights next term in weeks 7/8.